Students could be informed of the objectives through a clear written form or a spoken language. Students previous learning in native culture and native language is recalled to learn target culture and target language. Cultural content is provided through online courses. 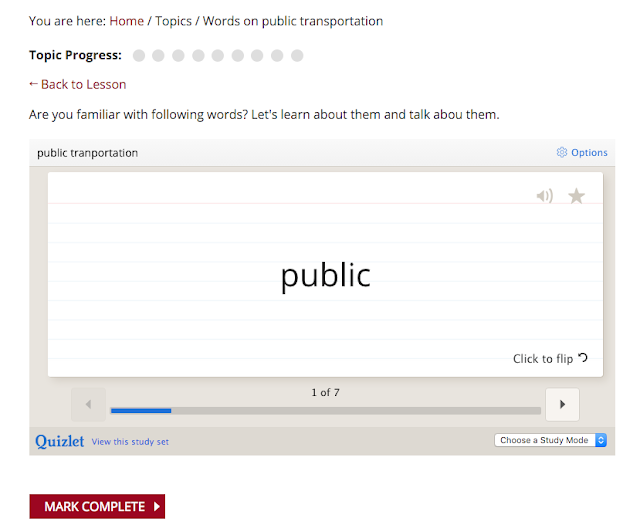 The content is delivered by tools or media such as Quizlet, Youtube, and images. Guidance to learning and tasks is provided through question and answer forum. In addition, the OLE has course progress bar that tells the learners what to take further. Students are supposed to speak and write in target language in the OLE. Students’ words activities, speaking activities, and writing activities are assessed to measure their learning outcomes. Review section and reflection section are given at the end of online courses. Telling a whole class of objects from other things. Learning systemized rules of languages to form sentences in writing and speaking activity; the rules are combined to a total language system. 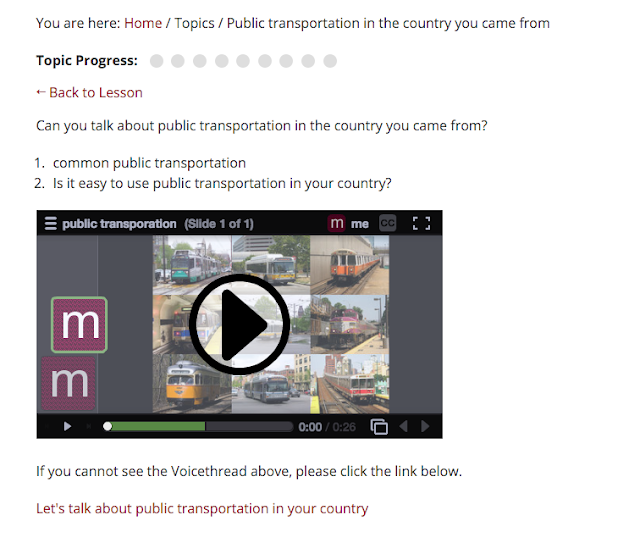 Finding information on website written in target language and performing problem solving tasks such as using public transportation and ordering sandwiches. Note: Adated from “Principles of language learning and teaching”. By Brown, H. D. (2007). White Plains, NY : Pearson Longman, c2007, pp. 100-101. A conceptual model of teaching English with cultures in an online learning environment will be developed. A plan of implementing intercultural communication for tandem language learning will be prepared. Pretest and post test plan for measuring learning outcomes will be developed. I have created an online learning environment based on 4 learning theories: behaviorism, cognitivism, constructivism, and connectivism. According to the aspects of knowledge, tasks, and learning contexts, different learning theories are applied to tasks and activities. For example, when students learn English words, behaviorism is mainly applied to designing the content. In case that students learn American culture, they will be asked to reflect on their own native cultures. In this context, I am making students use their existing knowledge to understand the new knowledge. 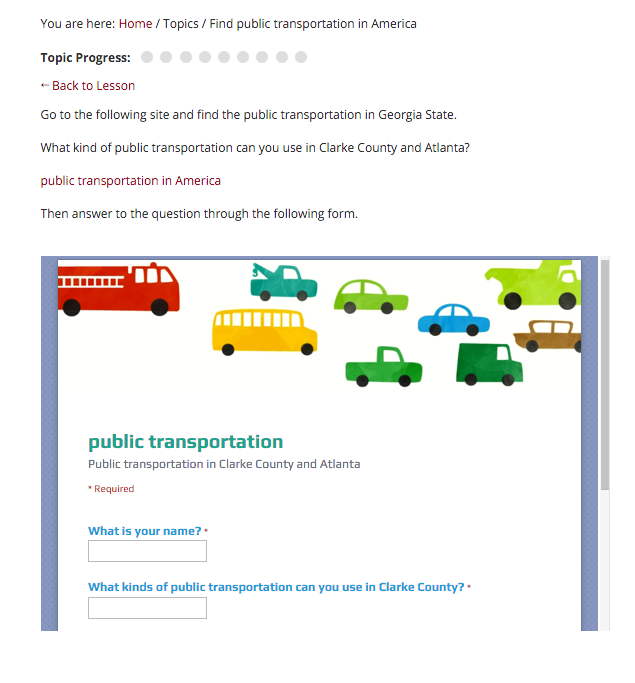 Students who learn in the online learning environment will be also asked to complete real-life tasks such as using public transportation and ordering sandwiches. In this context the students construct their own experience to learn new culture and knowledge. Finally, students will communicate with people around world using Voicethread and realize they can learn in connected world.